Neighborhood Progress provides marketing and promotions for all Cleveland neighborhoods and aims to ensure that they are a residential choice for anyone considering a move within, or to, the region. Cleveland Neighborhood Progress accepted a new and important role in neighborhood marketing once the merger of Neighborhood Progress, Cleveland Neighborhood Development Coalition and LiveCLEVELAND! was completed in July 2013. The organization accepted the challenge of leading a civic marketing campaign to tout Cleveland’s livability and attract new residents to the city’s neighborhoods. This creative work occurs through its LiveCLEVELAND! campaign – including an annual publication, website, city tours of Cleveland neighborhoods, social media activity and training/outreach to real estate professionals. Cleveland Neighborhood Progress also is in a position to create and sustain marketing efforts that complement and support individual CDC efforts. Our efforts will inform a larger audience about the work of CDCs and other partners in our nationally renowned community development system. Cleveland Neighborhood Progress will work with the City of Cleveland and fellow civic marketing organizations to coordinate neighborhood marketing efforts and provide a consistent source of new marketing content as the region’s urban core is set to gain more attention and new residents. Our organization is dedicated to growing the number of Cleveland ambassadors that will assist us in sharing important and exciting news about Cleveland’s neighborhoods. 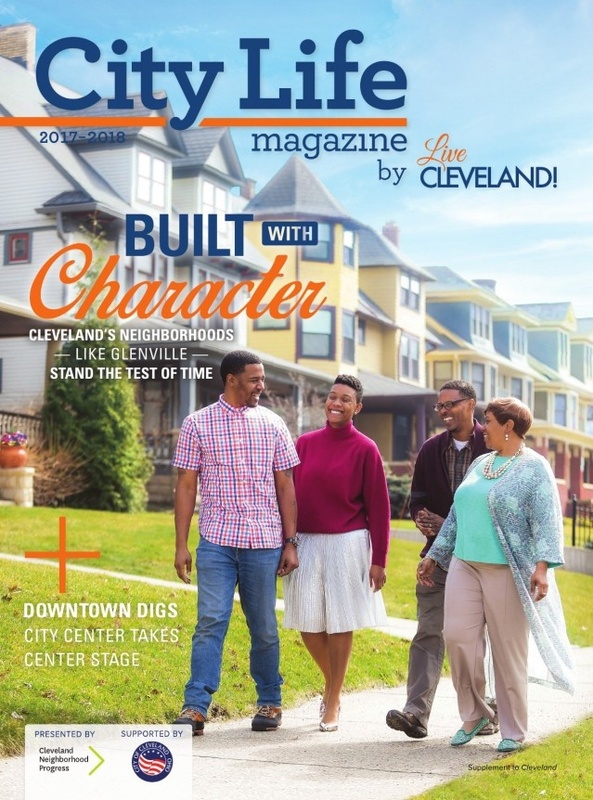 CITY LIFE Magazine by LiveCLEVELAND! serves as the official guide to Cleveland’s neighborhoods. Produced by Cleveland Neighborhood Progress with support from the City of Cleveland, this annual publication is in its 11th year and is a valuable tool for discovering our urban neighborhoods. View our electronic version of the 2017 City Life Magazine by LiveCLEVELAND!